This week's Less Is More challenge is to make a one-layer card with a focus on snow. Well, hey, hey, hey, how's this for a focus on snow?? This card is no masterpiece, but it's fun. It's the result of a doodle, or rather, a tracing. I was on the phone and doodling, as one does. I was also tracing around a pretty snowflake ornament that came as part of a package last year. After I hung up, I tossed the pieces of scratch paper in the recycle basket, not seeing that Hammy had gotten in there to lick traces of chocolate off everything I touched. "Hey, lady!" he squeaked, doing his Jerry Lewis impression. "Watch it!" He scrambled out from under, knocking one of the sheets to the floor in the process. He teetered on the rim of the basket, staring down at the discarded doodle. I looked to see what enwraptured him and a lightbulb moment flickered between us. I traced the snowflake onto a card base and then watercolored it using a red SU watercolor pencil and water brush. The red color is on the pink side of red, as far as reds go, but, honestly, it is not a bright fuchsia color IRL. I made the snowflake an ornament hanger, using Brilliance gold ink and one of those little "extra" stamps you get with a clear set. I'd tell you the name of the stamp I used, but I can't find it at the mo in this mess. The surrounding snowflakes are Stamps by Judith and the sediment is from SU. Speaking of running out of cards, Monday I thought I was all finished so I started cleaning up my desk disaster. I didn't get very far when I uncovered an entire sheet of 30 address labels with no cards to go with them. Panic? Nah, I just sat on my settee and set to setting up a production line. The irony? They were one-layer cards using the Tim Holtz snowman embossing folder and a simple sediment. That's right, a design that was perfect for this challenge, but did I remember this challenge during the manufacturing process? No, I did not. Did I take any pictures? No, I did not. What can I say, sometimes the hamster is fast asleep when I need him! There is still time for you to join in the Less Is More challenge with your pretty one-layer snow/snowflake/snowman/snowcake/snowshoe/snowball card! You can always just doodle snowthing! CASology. 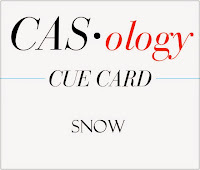 where the cue card is "Snow." This is my second entry. Simon Says Stamp Wednesday Challenge, where there is a lovely moodboard (snowflakes) for the "Winter Inspiration" brief. Be sure to click on the links for information about rules, sponsors, and prizes! I'm sure you agree that it's a lovely CAS design. Let's look a little closer, shall we? I've been called a lot of things in my day, but I've never been called a warm, wis(e), and merry HO before and it's about darn time I was, doncha think?! Thank you for the snortle, Brenda, and thank you for making this card especially for me! Fabbylicious doodle born card and ... a Merry HO? If you have to be a HO you might as well be a merry one!!! What a fun card and the pink snowflake is one to remember! If I found 30 cards unsent at this stage you would find me under the table crying!!! Loving the card and the snowflake hanging ornament. It's (gah) PINK, but it's lovely! Great in your face snowflake card! And I snortled as well at the card with the implication smacking me between the eyeballs. 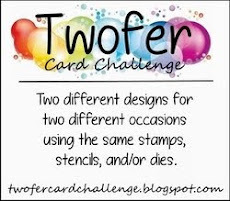 Regarding your moment about the challenge and not making that extra card...I guess the phrase my daughter and friends say to thing like that is "facepalm." Middleschoolers. 'Nuff said. Merry Christmas, Darnell! 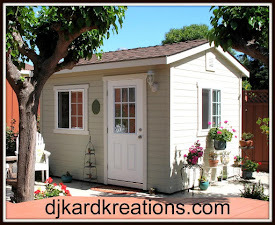 Thanks for the fun, giggles and joy you bring to blogland! How pretty is that giant pink snowflake?! 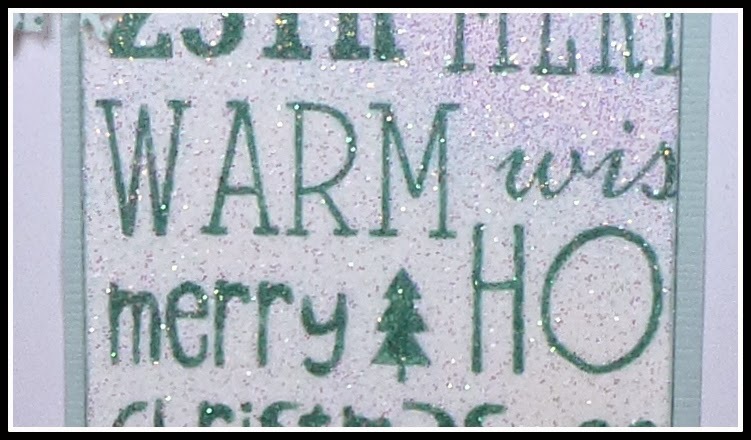 I love how you glossed it for shine too you wise and very merry "ho!" ROFLMAO! 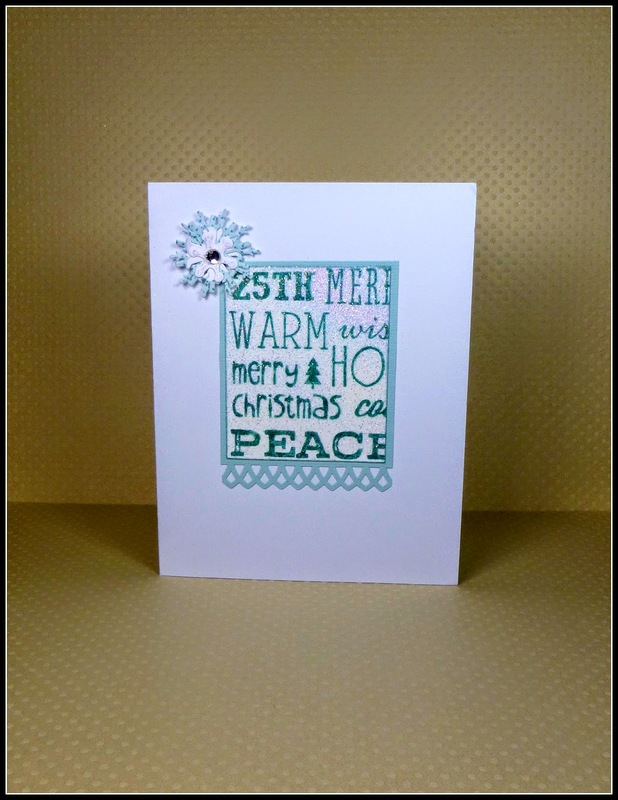 Great big fat snowflake with lots of dimension on your OLC! It's funny how cards sometimes come about! Love how you always make a fun story of it! Maybe big pink snowflakes are just what we need! Thanks for the laugh today! OMG! Darnell!.......a Merry HO?? ROTFLOL! Got your gorgeous card, will post it later. Tee, hee! You completely missed out the bit where I said I picked that card our especially for you!!!! 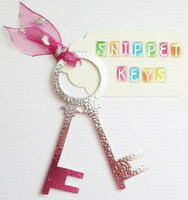 Love the pinkness too! Fabulous card! And a smile generating post, as always! Such a fabulous card Darnell. I love your snowflake and wonderful colours. I wish your Hammy could come and help me with my cards! Ho! Ho! Ho! I love your pink snowflake Darnell ..... and what a clever idea! PS Thank you so much my friend, for the fab Christmas card I received this morning ...... mwah! Good thing Hammy was on his toes (inside the recycle bin) and knew NOT to toss a doodle! The water colored effect is gorgeous, 'specially with a bit of shine! Jerry Lewis = Hammy! Now we know what the voice in your head sounds like! Ooh, I love this in-yer-face pink snowflake! I have got to get me a hamster. :) He sure makes some genius design decisions. This card is FAB with that big burst of pink. I love that you used a very textured cardstock, too, because it gives your one layer such a dimensional effect. You are too funny! Beautiful CAS card, too. Thanks so much for playing along at CASology this week. You and Hammy are quite a pair! I'm glad he made you aware of the beauty of your doodling! It made a pretty card! Thanks for the pretty card you sent. We are enjoying it! Well, at least you is a merry ho!!! Love your snowflake card! I am glad Hammie helped you out!! So creative! What a fun card, Darnell! This is a great doodle Darnell, three cheers for phone calls that allow you a little doodling time! You're in good company as Santa has 3 Ho s! Super snowflake. Right on Hammy! Shame about not photographing the others but Hammy needed the rest. Oh my gosh, Brenda's card was hysterical! So funny with no malice intent I'm sure. Hammy was right on it this time. A fun snowflake and oh, so shiny. I uncovered a stack of Christmas cards I had not sent yet under some wrapping paper so I know how you felt when you found those labels! I think this is a really fun technique - the scale of the snowflake on the card is perfect! I bet you'll see people casing this technique. Thanks for joining us at CASology this week! Merry Ho, indeed! Oh to receive such an honor! Now I have Jerry Lewis in my head. Isn't it funny where inspiration comes from? A chocolate eating, wastebasket hiding hamster. He did you good by saving the doodle. It made a terrific card. If I had to choose what type of 'Ho' you were I think Merry would be the perfect fit!! How hilarious, did she realise what she had done?? I'm loving the big, pink snowflake and love the idea behind it. And well done making up 30 new cards, I'm very impressed. Take's me days just to think up a design for one card!! Now that's what you call a snowflake! Terrific card and what a clever idea! Beautiful card! Love that big pink snowflake!! Very creative! Now that's what I call a snowflake. Pink too. This must be my lucky day. About to start on next years card quota cos whats not done now won't get done. Just the vegies to go and push/shove/ trample/ kill for at the super market. hugs mrs A. 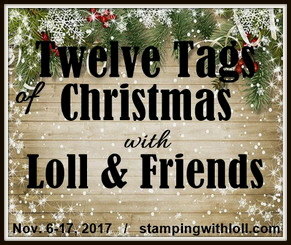 Visiting after you stopped by my blog & commented on my Tim Holtz Deer tag. Thank you for your comments & becoming a follower. I'm now a new follower of your blog. Like the snowflake. Creativity happens at times we do not expect. Very creative snowflake card...(done in my favorite color! My cards are not done yet either...but like other years...I'm not going to panic. I have a good excuse this year...I couldn't see to make the cards and write them out!! !That's my excuse and I'm sticking to it!!! smile. So it is you, hammy and chocolate that hang out in your little playhouse these days? And look what you created in there with your two favorite things...Fabulous card. Beautiful bright pink snowflake. Love the card Darnell! Merry Christmas to you! Enjoy your holidays.